If you want the short and sweet of ImolaCeramica, all you need to know is the Cooperativa Ceramica d'Imola was founded in 1874 from a pre-existing Italian ceramics studio. 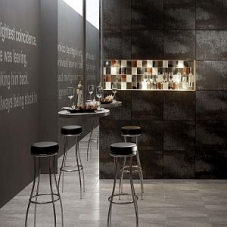 After over a century of dedication to style and form that is typical of all things Italian, today Imola Ceramica has warehouses in the United States, since they have established themselves as a leader in floor and wall tiles that successfully anticipate the latest trends in the world of architecture and interior design – in a way that no American could even hope to come close to. We know how to cook food and make great blockcbuster films, but when it comes to style Italy is the clear winner and Imola Ceramica’s products are cold, hard, gorgeous proof. 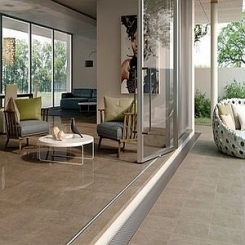 From the two-tone I Sassi series to the tactile Micron tiles and sleek Sirrah series, all of Imola Ceramica’s tiles prove that Italy isn’t just good at good looks. 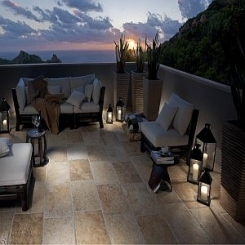 Sure, they’ve mastered classic, traditional, rustic and futuristic tile styles, but the way they make them leaves us with floors that we can count on – and sadly that isn’t something we can say about too many products on the shelves these days. If you’ve heard your elders say stuff like, “They just don’t make it like they used to,” just show them some Pietra D’Italia flooring and watch their heads spin. All their series and collections are brimming with a notably European sense of creativity and a carefully cultivated Made in Italy sensitivity to both quality and innovation that instantly gives you a small handful of style points for having it in your home – whether or not you can dress yourself each morning. 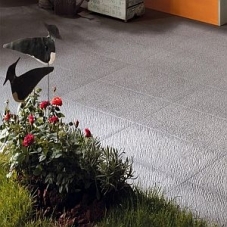 Typical of Italy, Imola Ceramica was ahead of the game when it comes to environmental protection, too. They started winning awards for caring about our precious Earth way back in 1998. For this no doubt impeccably dressed company, technological innovation was never separate from environmental sustainability. When your friends come to drool over and on your new floors, you can really “floor” them by saying the company that makes them recycles 98% of the scraps they produce. For comparison, that is on par with the success rate of most birth control methods. Can I get a Hallelujah!